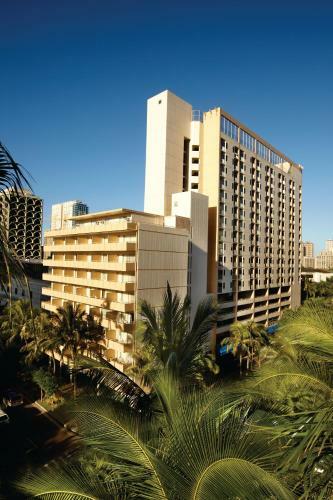 Lock in a great price for OHANA Waikiki Malia by Outrigger – rated 8 by recent guests! I liked the location. The fact the shops nearby where very friendly. But my Room didn’t even have a Basic Microwave. I came from Aqua Palms. They gave me an apartment for the price I paid a night for this place. You get a lot of perks staying at this hotel. 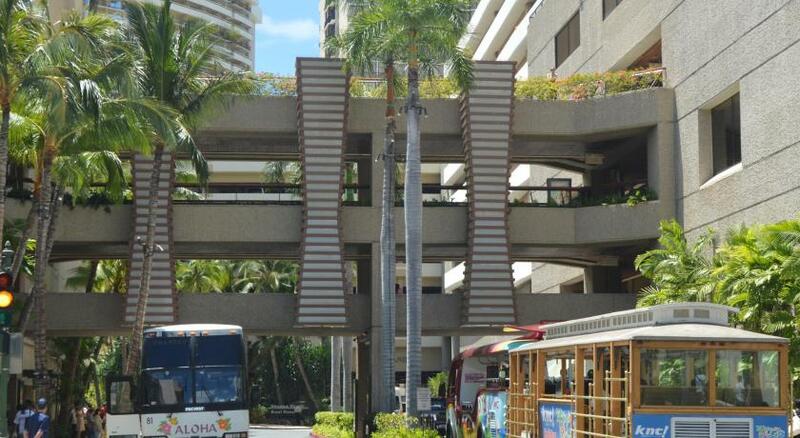 Free trolley ride around Waikiki for two was my favorite. They have a little cute pool, and nice Jacuzzi. Staff is very friendly. Will for sure be planning another stay there. Even though this wasn't the property I was supposed to stay at, the facilities were good, and since I woke up before 9am anyway I didn't suffer from the construction noise. I liked the free beach towels, purchase of unreleased movies, location, and welcome in the hotel. Bed was perfect, the porter remembered our last name. Husband was impressed. Staff was great we Uber taxied everywhere cause hubby was in wheelchair. It was perfect for us. Will be going back soon. Thank you. Everything. 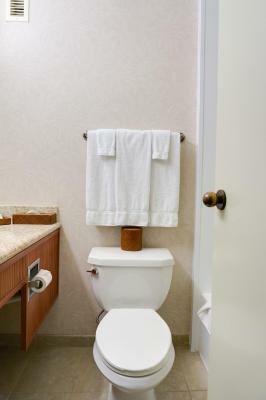 The rooms were clean, the staff was very accommodating AND nice. Staff was friendly, room neat, cleaned daily and RESTOCKED! Important! The stuff was really helpful, I appreciate a lot their implication in my situation when I supposed that I forgot my phone in the room the day I´ve checked out. The cleaning lady and an other person in charge checked really careful everywhere , thank you again! Nice hotel and large comfortable room. The IHOP skeleton crew who managed to feed us all during hurricane conditions. Impressive! 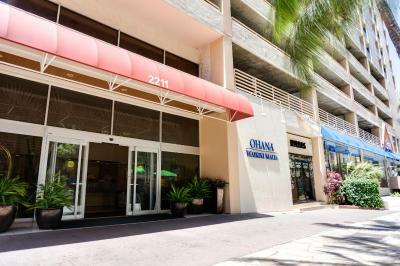 OHANA Waikiki Malia by Outrigger This rating is a reflection of how the property compares to the industry standard when it comes to price, facilities and services available. It's based on a self-evaluation by the property. Use this rating to help choose your stay! One of our top picks in Honolulu.Featuring an outdoor pool and hot tub, the OHANA Waikiki Malia by Outrigger is 5 minutes’ walk from luxury shopping at Kalakaua Avenue. 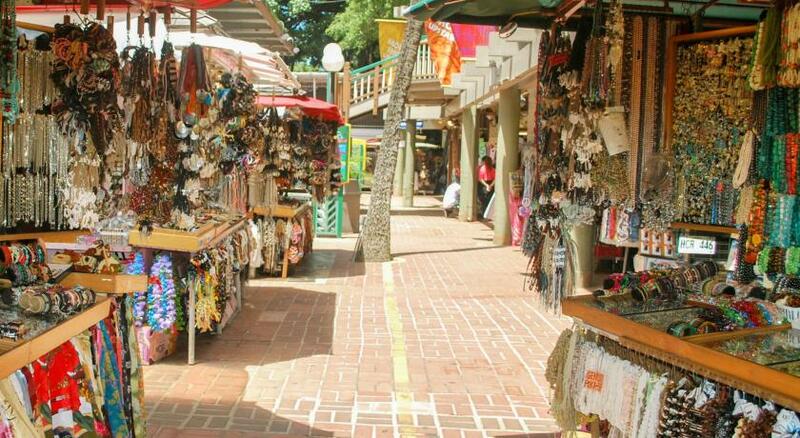 Waikiki Beach is 5 minutes’ walk away. All suites offer free WiFi. Featuring a balcony, each suite offers blackout drapes, air conditioning, an in-room safe, and an private bathroom which includes a hairdryer, ironing facilities, and a bathtub/shower combo. The kitchenette includes a stove top, a microwave, a refrigerator, and cookware. Bell service and a 24-hour reception are available for guests. A fitness center is also included for guests. 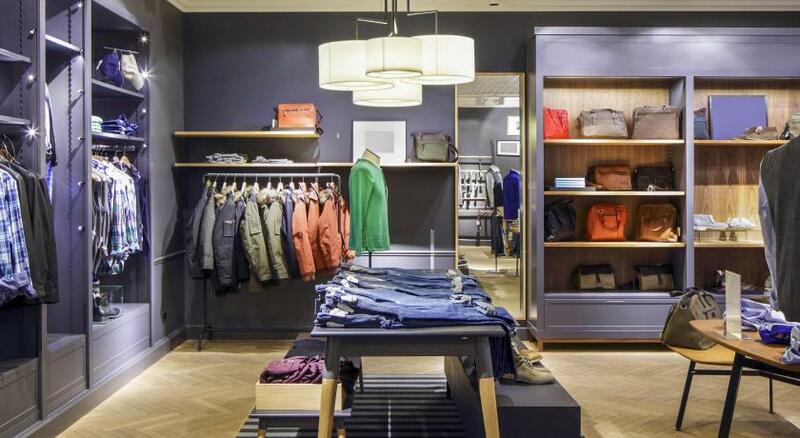 Dry cleaning services are also offered. International House of Pancakes serves classic American breakfast dishes daily. 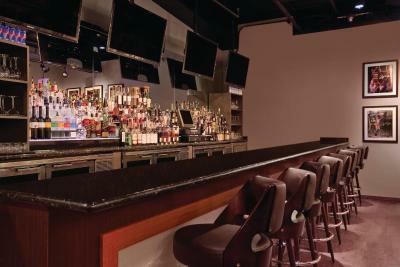 Featuring a Las Vegas style atmosphere, the sports bar Rivals Waikiki features 14 flat-screen TV’s, a bar, and a lounge. Honolulu International Airport is 9 mi away. 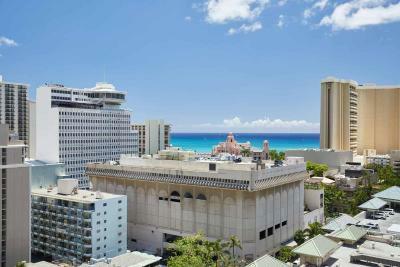 Waikiki Aquarium is 10 minutes’ drive away from OHANA Waikiki Malia by Outrigger. When would you like to stay at OHANA Waikiki Malia by Outrigger? 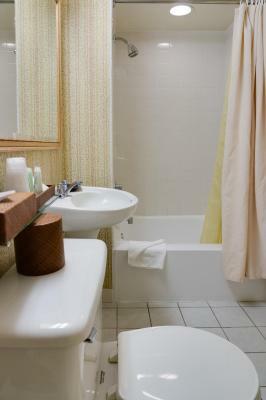 Featuring a balcony, this room offers blackout drapes and an private bathroom. Coffee-making facilities are also provided. Free wired, Ethernet access to internet is available (cable provided). Bedding types include 2 double beds or 1 king bed. Bed selection based on availability at check-in. This family room features a balcony, microwave and air conditioning. This family room has a balcony, stove top and air conditioning. This family room features a balcony, air conditioning and cable TV. This family room has a balcony, dining area and soundproofing. This double room features a balcony, soundproofing and private entrance. This family room has a balcony, cable TV and electric kettle. Hotel surroundings – This neighborhood is a great choice for travelers interested in beach walks, sunsets and shopping – Check location Great location - show map Guests loved walking around the neighborhood! 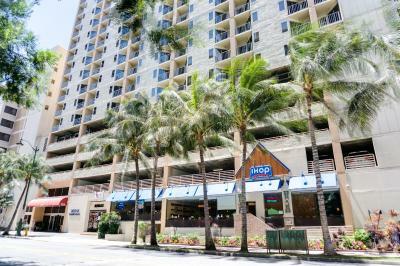 House Rules OHANA Waikiki Malia by Outrigger takes special requests – add in the next step! Any additional older children or adults are charged USD 40 per person per night for extra beds. 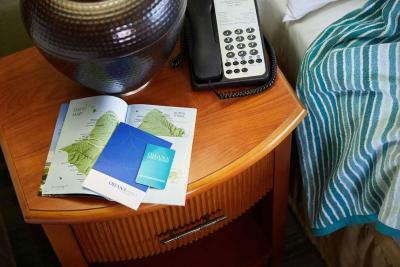 OHANA Waikiki Malia by Outrigger accepts these cards and reserves the right to temporarily hold an amount prior to arrival. Please note: fee is subject to change without notice. A Microwave in the room would have been nice. The Refrigerator is Whack too. The property is old and the walls between the rooms are very thin. The value for money was not good. Microwave and ice machine not on every floor. The room wasn’t the one I chose, it was very dusty, beds not comfortable, the gym’s equipment or tv didn’t work. Parking very expensive. The free trolley around the beach. Within walking distance of everything, plenty of food options locally. Resort fee. They have a hot tub and tiny pool, a bar next door to an Ihop restaurant. Don't understand this fee. Friendliness of the staff. They were very accommodating. Not too far from beach. Clean. Staff pleasant.